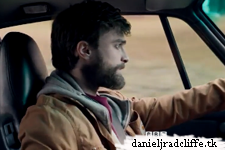 There's a trailer released by the BBC for The Gamechangers (Yes a title change, it was titled Game Changer) starring Daniel Radcliffe and Bill Paxton. The 90-minute drama airs 15th September 2015 at 9pm on BBC Two. This 90-minute factual drama goes behind the scenes of the hit video game Grand Theft Auto, arguably the greatest British coding success since Bletchley Park. In Autumn 2013, the game’s latest iteration – GTA: V – earned $1bn in just three days, becoming the fastest-selling entertainment product in history. But this drama goes back to 2002, to tell the story of a three-year period of intense controversy in the history of this iconic game's development. It happened when two passionate men on either side of a high-stakes cultural divide clashed. This conflict, between the creative genius behind the game and a self-styled crusader for American morality, escalated into a fight for the hearts, minds and freedoms of an entire gaming generation. The fastest-selling entertainment product in history comes not from Silicon Valley, but is driven by a bunch of British game designers. Friends since their school days, they are led by the game's mastermind-designer, Sam Houser. By 2002, Sam and his creative team have constructed for their fans a vast virtual world, teeming with a high-octane mix of criminal characters, lethal weapons and outrageous storylines. Here you can even shape and sculpt your avatar, crafting their character and appearance to your personal preference. Within this fantasy landscape, some players choose to take part in a series of dangerous missions, while others become immersed in a sprawling criminal underworld, killing cops, hijacking cars and running over pedestrians. And it's this that increasingly drives opposition to GTA. Because the game's violent gameplay leads to fierce opposition: from parents worried about its impact on children; from politicians, fearful of its influence; and, above all, from campaigners fighting to prevent the game being played by minors. At the vanguard of this crusade is the formidable Christian lawyer Jack Thompson, a man determined to do whatever he can to stop the relentless rise of the game and its influence on children. The Gamechangers tells the story of how British game designers pushed boundaries into uncharted territory, of how those fighting GTA became consumed by a battle which overwhelmed their lives, and how the subsequent fallout threatened to bring down leading players on both sides. This drama is for an adult audience and has not been authorised by the producers of Grand Theft Auto. Rather, it is based on court documents and interviews with many of those involved in the real events behind this compelling story. Daniel Radcliffe (Harry Potter, A Young Doctor's Notebook, The Woman In Black) plays Sam Houser, and Bill Paxton (Texas Rising, Nightcrawler, Hatfield and McCoys, Titanic, Apollo 13) plays Jack Thompson. The drama is written by James Wood (Rev, Ambassadors), directed by Owen Harris (Kill Your Friends, Black Mirror, Holy Flying Circus) and produced by Jim Spencer (Pride, All Stars, Monsters). It is executive produced by Mark Hedgecoe (The Challenger) and James Wood. It is commissioned by Tom McDonald. The Gamechangers is a BBC in-house production made by BBC Scotland Science. The film is co-produced with the Open University and is part of the BBC Making It Digital Season.